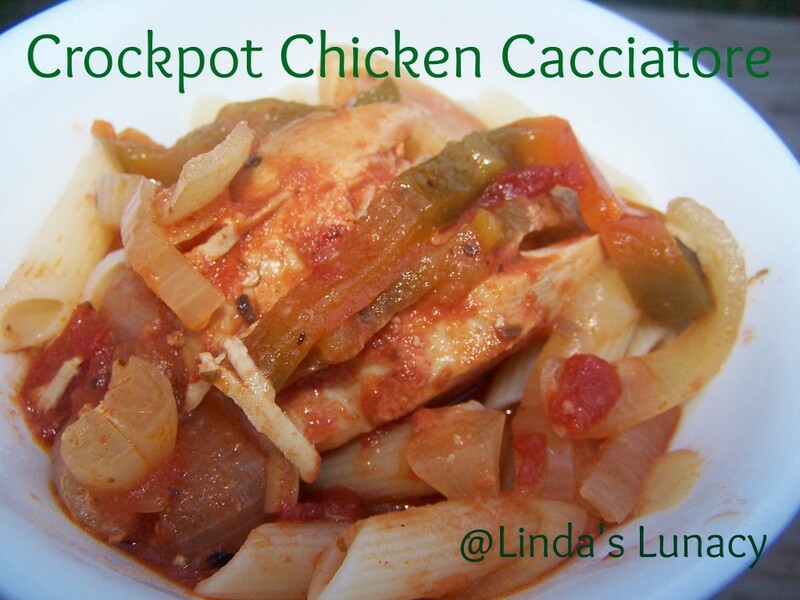 This Crockpot Chicken Cacciatore is a great dish, it’s delicious, and so easy! 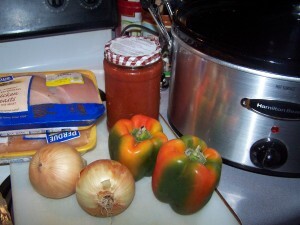 Place chicken, onions and peppers in crockpot. Pour sauce over. That’s it, your done! Well, don’t forget to turn the crockpot on! I cooked mine for about 6 hours. Cooking time will depend on your crockpot. I had mine with rice pasta, and the rest of the family had it with rice. It has such a great sauce, you’ll want something to put it on. You can easily adjust this recipe to whatever size you need. You can use whatever cut of chicken you want. You can even put it in a casserole dish and bake it in the oven. I love recipes that are easily changed for whatever I may need. 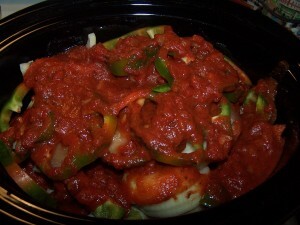 This Crockpot Chicken Cacciatore is so delicious, you’ll love it too! It certainly looks delicious! Yum! That looks so wonderful. Cannot wait to give it a try. Perfect for fall! Come over and visit us. We have terrific apple recipes for this week. That sounds delicious! Great tip about using the PB jars in the freezer; definitely going to have to start saving those now! Thanks for linking up to Made From Scratch Tuesday! I would like to try this! My family isn’t really big on onions. A lot of times I just use a little garlic in recipes that call for onions. What do you think? Would that work? I make my own pasta sauce and freeze in jars like that, too!